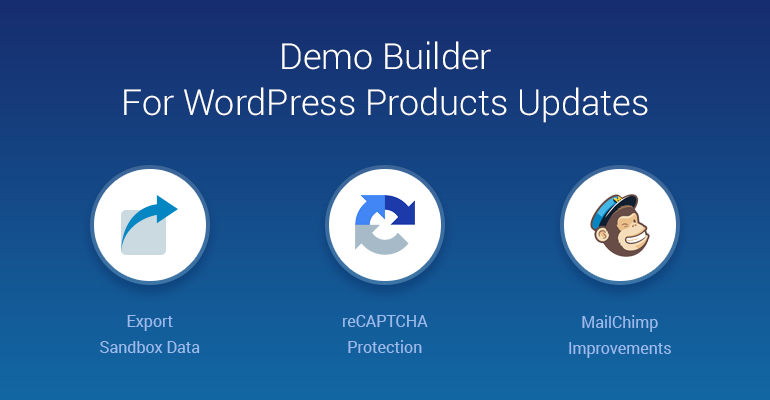 Since the Demo Builder for any WordPress product first launch, we’ve received multiple suggestions from users on how the builder should be improved. It turned out there are lots of big and small things able to make work of developers much easier and we are making steps in order to meet all priority requirements. Let’s see what we’ve managed to do this time! These are actually 3 important things you can now see. Firstly, a lot of you asked for more spam protection on the sandbox sign-up process, so we’ve added a popular and secure reCAPTCHA protection. 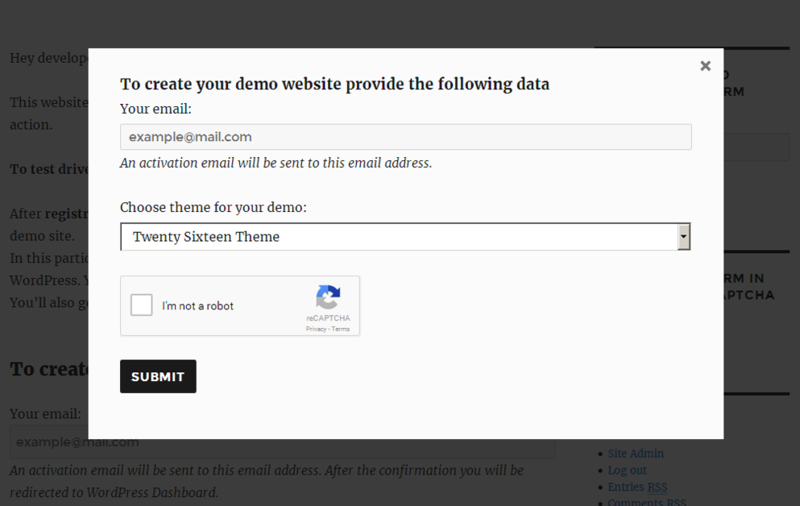 Demo users won’t need to solve a usual difficult CAPTCHA, so a happy user experience of demo creation is guaranteed. 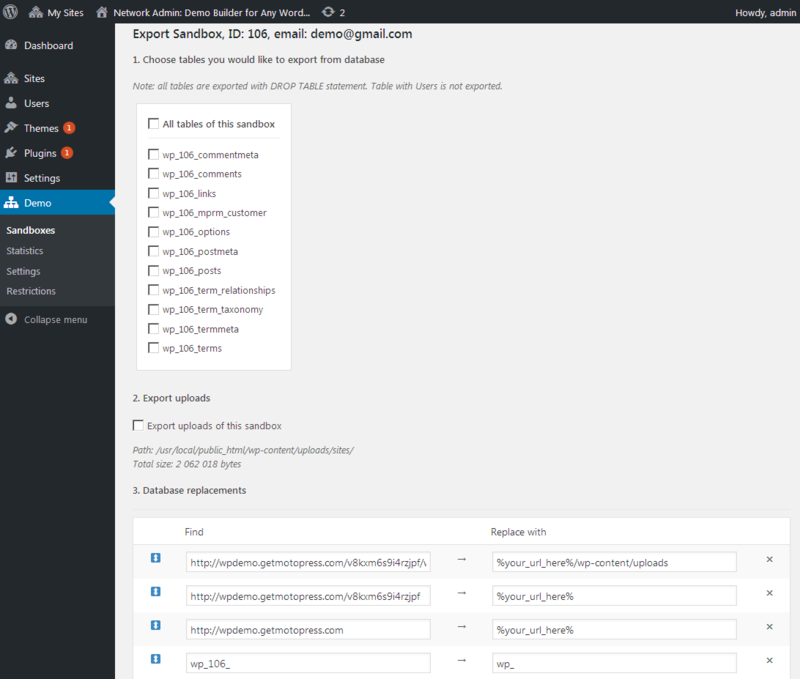 All in all, it’s easy to use for prospects and delivers high spam protection for demo site administrators. One problem solved! Another important thing we’ve implemented is an ability to export demo sandbox data. If a demo user played around with the functionality of your product for a pretty long time and doesn’t want to lose the changes made, hurrah, you can export all data of their particular sandbox to send to a user. So, if you have such a request from a demo user, simply go to Demo > Sandboxes > choose the needed sandbox > tick what tables and uploads should be exported and what databases replaced (optionally) > export sandbox. And wait for a huge “thanks” from your users. 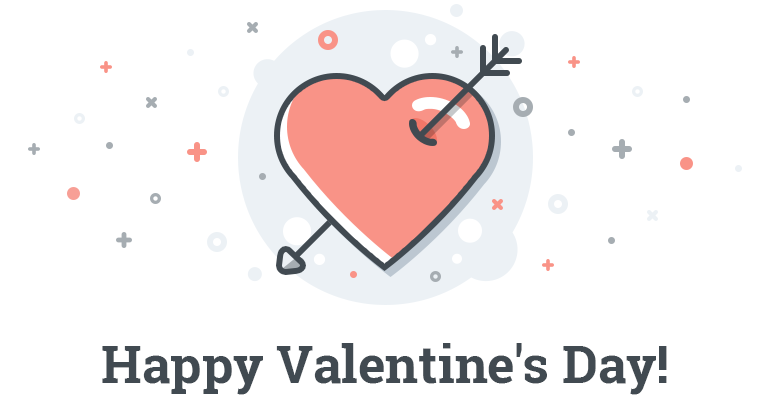 And the last thing, we are aiming to involve the plugin into boosting your email marketing, so all website administrators can now subscribe users to different MailChimp lists depending on a WordPress product used for a test-drive (the one users registered a demo account with). 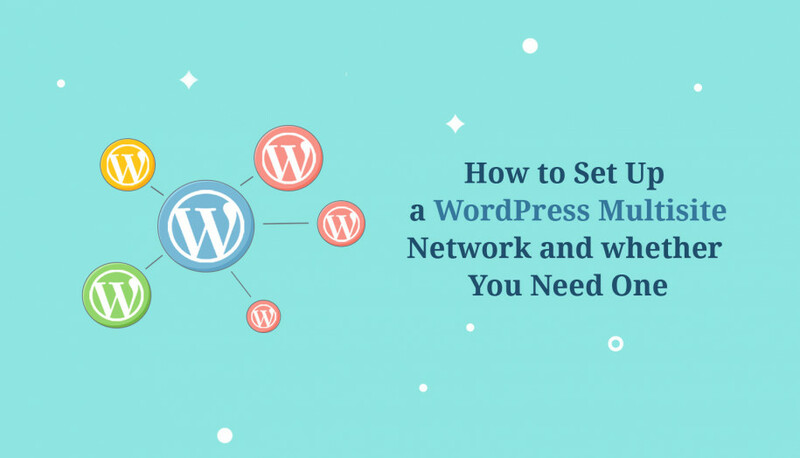 By the way, have you already tried an easy way to create demos for different plugins and themes from one WordPress Multisite network? This new feature should be useful for developers who manage more than 2 product demos and want to send emails more wisely by interests. 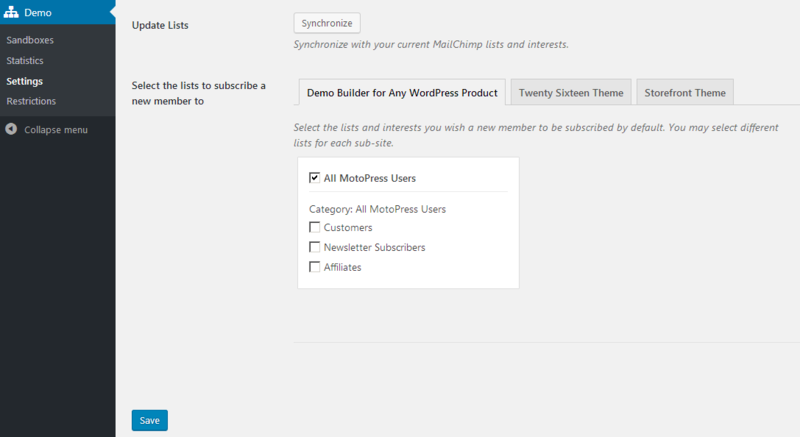 To see how it works, go to Demo > Settings > MailChimp tab. Enjoy fresh improvements and don’t hesitate to send your questions or ideas! 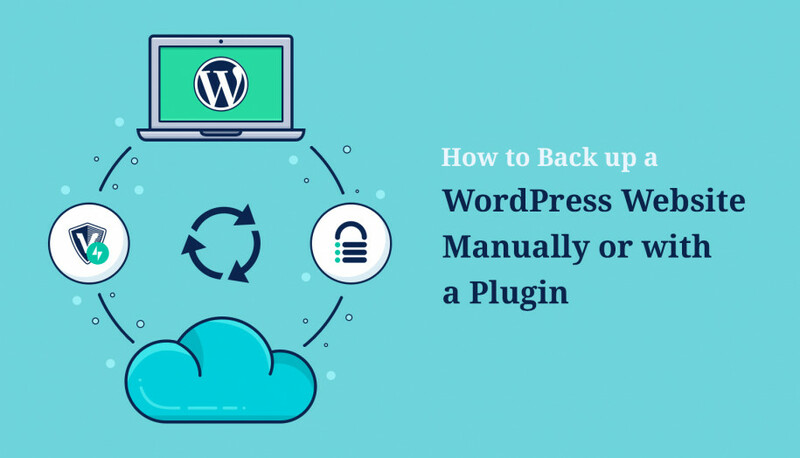 To get more inspiration, you can check who use Demo Builder to sell WordPress plugins and themes. Update! 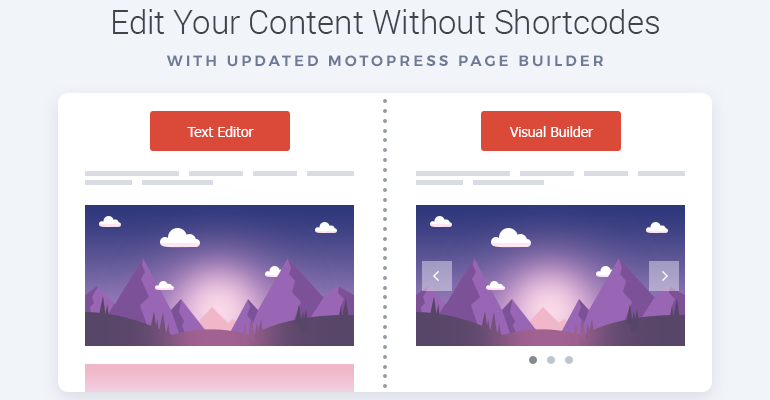 If you want to get the Demo Builder and lot of other WordPress plugins and themes at a very low price, take a look at our Membership option!